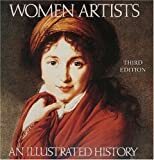 Angelica Kauffman was one of the most successful and internationally celebrated artists of the 18th century. Angelica Kauffman was a child prodigy. it was her exceptional talent that encouraged her father, Johann Joseph, also a painter, to teach her his profession. it was unusual for a girl to be taught painting in those days… angelica gained fame throughout Europe during her lifetime. Since the bishop of Como summoned her to paint his portrait when she was about 12, she came under the protection of Francis III d’Este, duke of Modena and governor of Milan. From age 16, she traveled through Austria and Italy, working with her father on his religious commissions, and painting portrait commissions of her own. Cardinal Roth in Constance gave her a further commission, which helped build Angelica’s reputation. She became well-known as a painter, and as a musician. She went to Rome to study perspective in 1763. In Italy, during a visit to Venice, she met some English noblemen on their grand tours. these meetings helped her decide to move to London in 1766. She was well received both personally and professionally by the artistic circle, chief of whom was Sir Joshua Reynolds. Kauffman became known for her historical paintings, the most prestigious type of painting during the 18th century. Angelica became one of London’s most sought-after portraitists. In 1768, she was one of only two female founding members of the British Royal Academy. in 1767, she married Shiester Count Frederick de Horn, only to separate from him after some time and continue her professional career. She re-married in 1781 to Venetian Antonio Zucchi. This marriage was more fortunate, and resulted in great success in their paintings of classical idylls and mythical compositions. After many successful collaborations on commissions from the famous Scottish architect and designer, Robert Adam, Angelica and Antonio moved to Italy in 1783. Zucchi died in 1795, and left Angelica to live another 12 lonely, impoverished years. one of Angelica Kauffmann’s famous oils on canvas, ‘portrait of a lady’ (circa 1775-95); Tate gallery, London. 2) ‘Mythology’ by Edith Jamilton. list price: $13.95. price: $11.16, you save: $2.79 (20%). paperback: 497 pages. fun stories rather than a scholarly infinitive reference guide book.